Welcome to Vegas. Or the closest Berwick has ever come to it, at any rate. MPD, or Meat Packing District if you want to get the full romance of the theme, is a million-dollar steak kitchen resting over the back of Berwick's sports bar Zagame. It's a hell of a thing to behold, whether you've come here from the big smoke where you can't move for grilled sirloin, wandered in by mistake while looking for the pokies or once enjoyed a disco pash here when it was nightclub favourite Blitz. Take a stagger down the black glass corridor culminating in a wall of flames. Inside, at least 60 animals cover seats and supply skulls for the walls. Order your Kirin from a meat cleaver-shaped tap. It's outrageous in the way only steakhouses and Guy Fieri restaurants are allowed. But if MPD is a monument to excess, it's also a testament to the power of big systems doing their thing. Waitstaff may be working on script but they've rigorously practised the moves. And with budgets that allow for endless suede armchairs, floating glass cellars and, we're told, an in-house gardener for the hanging plants, come other niceties. Banjo Harris-Plane (Bar Liberty owner and one-time Attica sommelier) consulted on a list that's pro-Australia, Argentina and France. It's not the nerdy natural nirvana you might expect, but it does mean Oakridge pinot noir by the glass and more white burgundy than Marlborough sauvignon blanc by the bottle. Ex-Vue De Monde chef Chris Bonello oversees the kitchen, so while the menu might be ambitious, it results in some well-executed dishes. 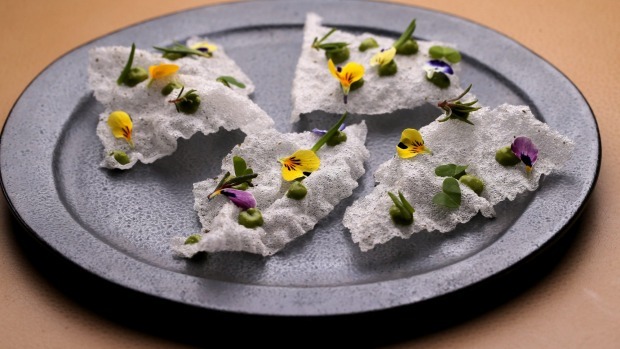 Nebulous tapioca crackers are dotted with an umami-packed seaweed emulsion and bubbly ice plant for light, salty crunch. Thick-cut kingfish ceviche is assertively fresh, clearly cured to order with lime. It might be a menu packed with meat but that doesn't mean you have to eat a steak. This is the kind of restaurant that has your back if you want Peruvian ceviche or modernist vegetable creations harnessing ironbark-fuelled grills. The sides alone could be the menu of any northside wine bar: grilled marrow served in-bone with a parsley crust for cut through, and duck fat roast potatoes that squish to prove maximum fat absorption. Summon the broccolini smothered in almond pesto plus the creamed corn all bedazzled with juicy kernels and you have two thirds of a meat-less good time. If you are considering beefing up, it's all the big names in the steak game – legends Blackmore and O'Connor – cooked right. A rosy fan of salt-sprinkled flatiron (shoulder cut of now) is at the cheaper end at $32 without sides. At $54, it's harder to justify the gummy-textured and surprisingly light-flavoured venison. 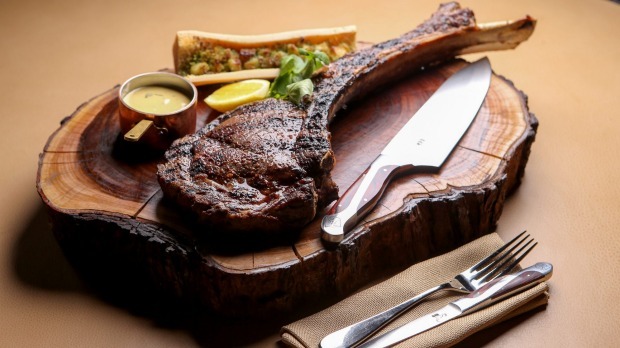 But kudos to the Zagame team – no one overestimated how many diners were hanging out to spend big on tomahawk steaks. One wet Wednesday, six beardy dudes are finishing two of the $145 clubs and taking the foot-long bones to go. 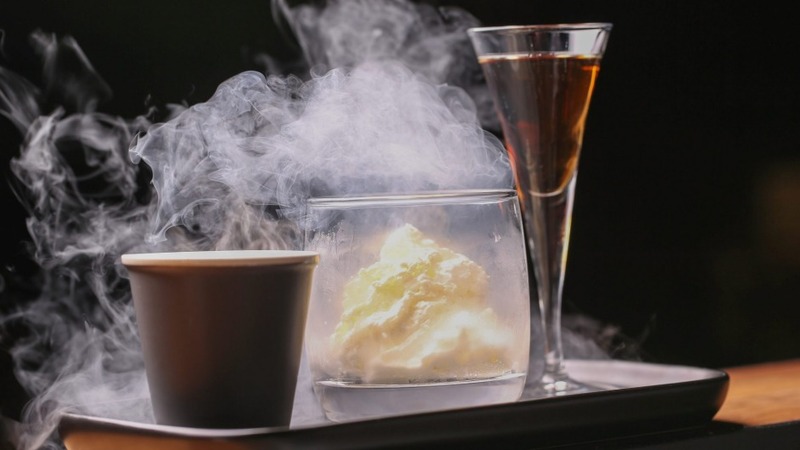 Behind them, a cloud of liquid nitrogen freezes gingerbread cream for the city's most dramatic affogato. 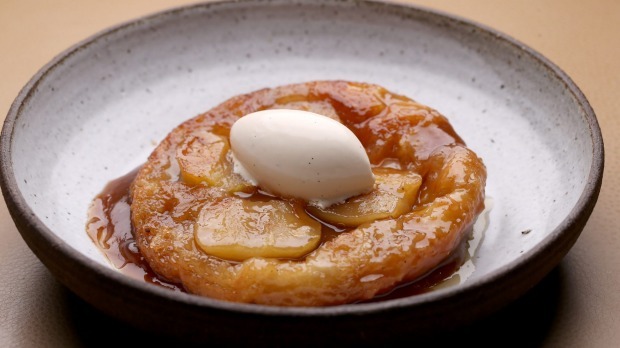 Good times and (slightly pale) apple tarte tartins are being had by all. You almost forget the pokies jangling away next door. It might not be engine-gunning dining for the well supplied city, but in this 'hood? It's a trip.